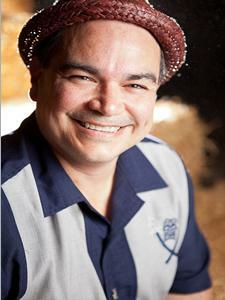 Mark 'Spanky' Gutierrez's Blog | It's Me.. Honest Its Me!! I Got You… I Feel Good! The Spanky and 4 Strings of Swing Store!! Short Video 5 Seconds of Nonsense! It's Me.. Honest Its Me!! I have met James on several occasions but it is so special to have him here in Nebraska. It’s so great to be able to have all of my Ukulele friends get to meet him, learn from him and befriend him. James did a great job of teaching our teachers, teaching our kids and ultimately befriending us all. PS: if you were at the Lincoln Workshops here are the links to my handouts. Merry Christmas!! 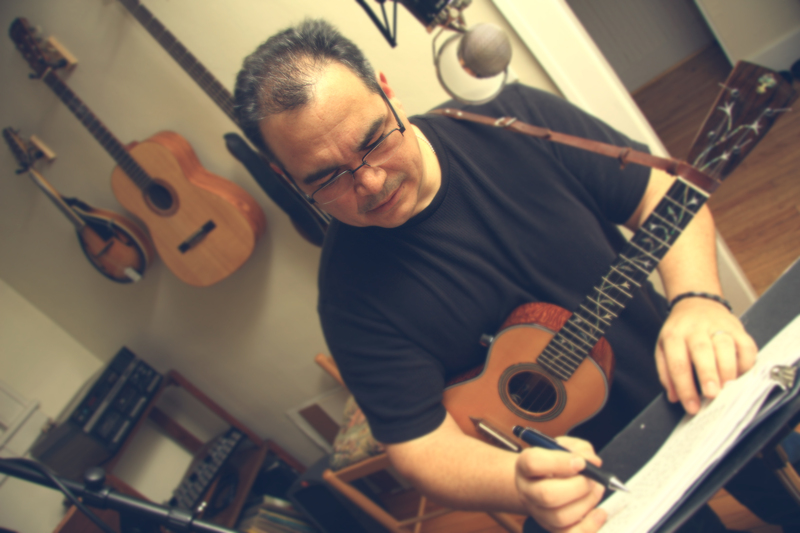 I’ve been working on a few new Christmas songs… for educational purposes only … of course! I also did a little organizing and put all the Christmas songs under one grouping. min of 8. The morning will be spent on finger picking, the afternoon will be spent on movable chords, why they work and how to apply them. If you would like to sign up please send me a message. Gracie and I were playing on the couch the other day. She is only 11 months old but she is no stranger to music. I sang to her and her mama during the pregnancy and now almost everyday we sit at the piano and play on the keys. We also pull a uke down and she does what ever she wants with it. Sometimes she plucks the strings sometimes she slaps the back or chews on the head stock. You never know how she is going to express herself on any given day. 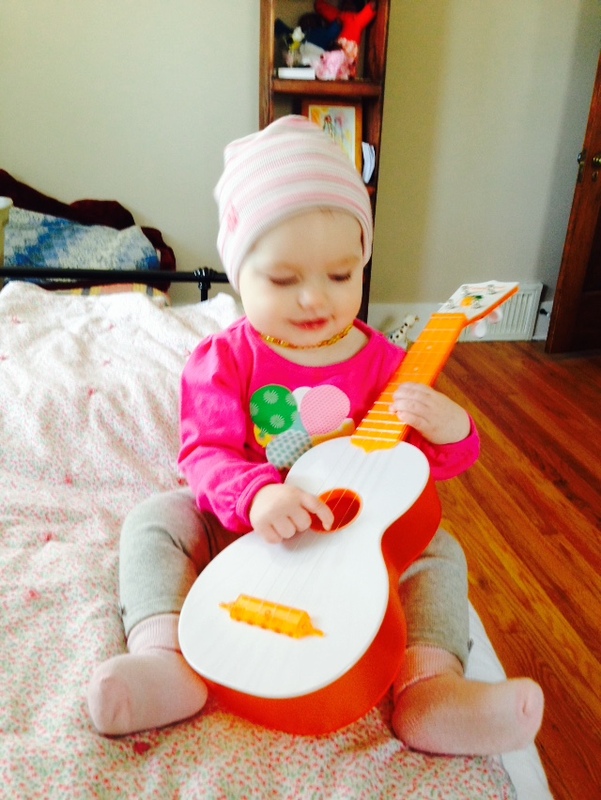 On this given day she pointed to a ukulele and I pulled it down for her to play with. I started to tell her about how important it is to express ourselves artistically everyday. That it lets us demonstrate how we feel in ways that words may fail us. Immediately I knew that these words were not just meant for her but me as well. I haven’t had time to practice or play nearly as much as I would normally. I started to play whatever came to mind and a wonderful song about a little train on the track that whistles Cho Cho as it goes singing by came out. I little ditty for my little sweetie. It made us both so very happy. Express yourself through your art. Play, play, play, let it all out! Good and bad, let it out in your art. Maybe a strangers interpretation will put in words, that which you could not describe, releasing your heart to continue on. Is there anything sweeter than having somebody sing you a song? Did you ever have a child sing you a song, a song especially for you? What about a sweetheart? Did you ever have a sweet heart sing you a special song? Has anyone ever crafted a song with you in mind? Being the recipient of a special song is one of the most wonderful experiences ever. I know many people find it awkward to be sung to, to be the focal point of somebody else’s full attention but if you can put the blush and awkwardness aside and see that somebody else on this planet is trying to reach you on a whole different level… well it’s just pretty amazing. He looks so smart when he writes music! them know you hold them is such high esteem that you would dedicate some hard work, thought and time to only that one person. That you are willing to be totally focused on them. There are at least twelve frets on your ukulele but most people only use the first three or four! My good friend Byron Yasui says “you paid for all those frets you might as well use them!”, and who could disagree with logic like that. But why, why would I play those chords up the neck? Well… If I was trying to match the melody the other chords might give me the melody note as the highest note in the chord. Any time that you bring out the melody line in your chord playing the song starts to peek through the chords. People will say your playing “Silent Night” not just a set of chords. Lets examine the notes of the C major chord. 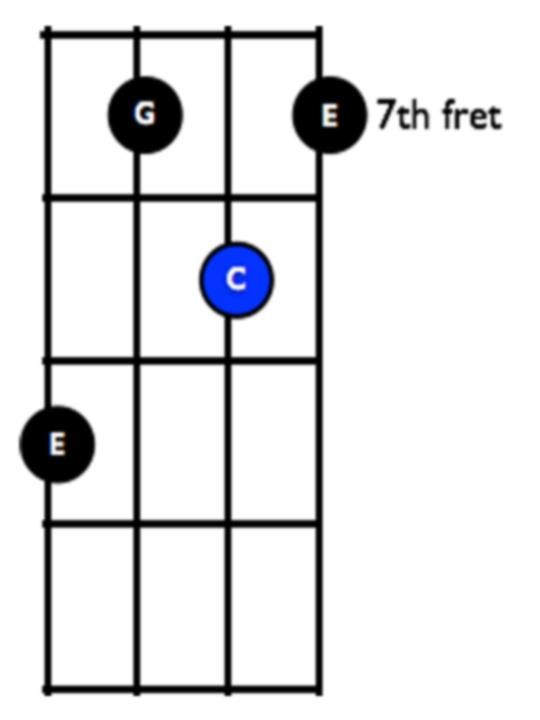 The notes for the C chord are C E G.
So there would be to opportunities to play the C chord with either a C as the highest note or the C chord with the E has the highest note in the chord. I am sure that we if worked at it hard enough we could even come up with a C chord with G as the highest note. If the melody of the song calls for then notes C and then E but the chord doesn’t change, you could follow the melody by choosing either the first position C or second position and then when the melody gets to E play the C chord in the third position. The only trick here is we are following the melody with chord shapes that have the melody note as the highest note. But there are times when you just can’t… Say a song has a range that just won’t fit. Well then transposing the song to another key is a good idea but there are songs that have more than an octave range. In which case it’s time for you to make some creative decisions. Maybe move in the direction of the melody. Meaning that if the melody goes down in pitch then we can go pick a lower pitched C chord. 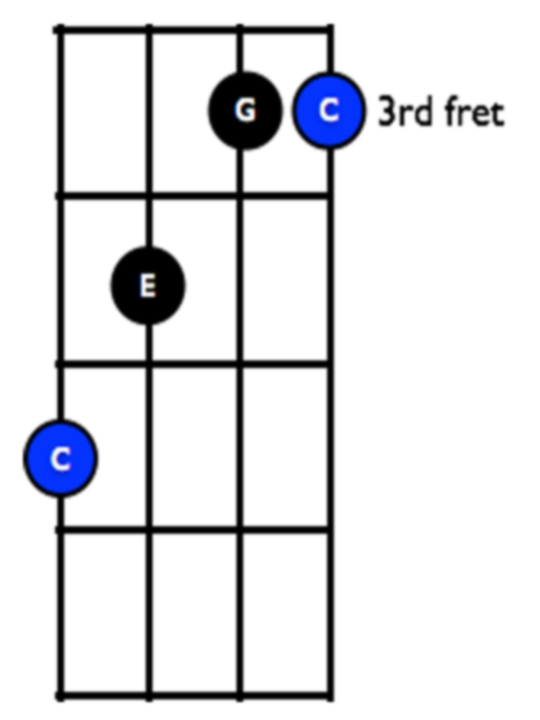 This is the basis to creating chord melody transcriptions. I hope that this helps you to understand why all those shapes for the same chord are important and I really encourage you to try making your own arrangements. Now let’s just make one technical music theory correction. I called these inversions and technically that is not right, just ask Dr, Bales. C E G is the first inversion, the second would be E G C, and the third G C E. Notice on the ukulele we are just taking the next set of C E G notes and calling it the next inversion. It’s actually just the next position in which C E G pops up as a playable form. It’s Just That Easy! It’s been awhile since I was in Dallas. It was great to return with my wife and new daughter. We were only there for a short two days but were able to reconnect with some ukulele folks from the area. Mark and Kathy Levine, Noel Tardy, and in spirit Gina Volpe. It was so nice to sit down in a relaxed atmosphere and just share what was going on in our lives. Normally there is some ukulele event that is going on and while that is always fun it usually puts us in a situation where we have to provide service or perform for others. We don’t normally just get to sit down and see how the other is doing. That made this visit special in that it was just us getting together to reconnect. What a great time. I had brought a little pineapple Kamaka and I think at one time or another we all grabbed it and gave it a strum. At one point a group walked up to the table and asked us to play a song on that thing. So we obliged and the guy was surprised that it sounded so nice and that it was an “American” instrument. Noel and Mark where quick to invite the guy to the Dallas Ukulele Headquarters. It was so interesting how it all came about and this is the part that keeps me so involved with the Ukulele community. We share, what ever knowledge we have, and what ever skills we have accumulated are all out there to share. We love it when a new person joins our ranks. I love this community of music makers. 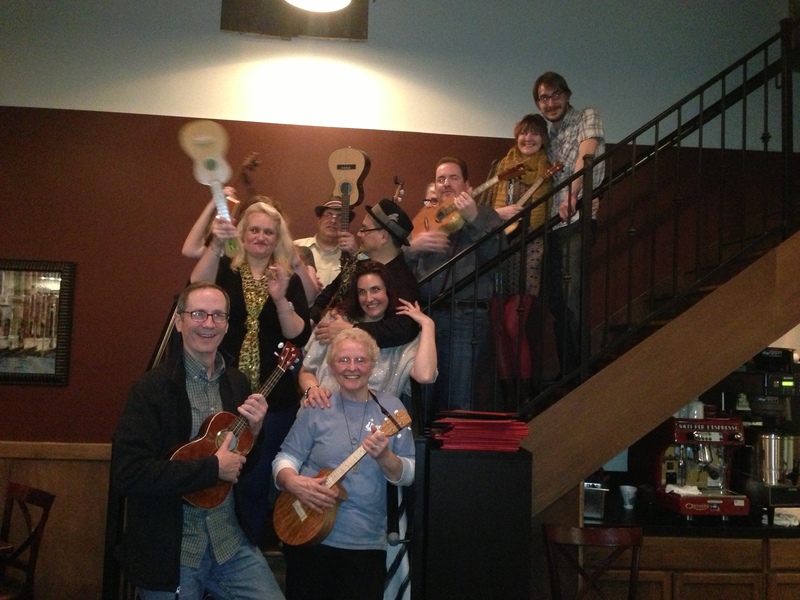 Last night we had a Ukulele Christmas party in Papillion Nebraska. We have all heard Christmas music on the radio and in the stores but it is so different when your making the music yourself playing and singing your heart out. We had such a great time. I know I am rambling here but I just wanted you to know that you too are invited. 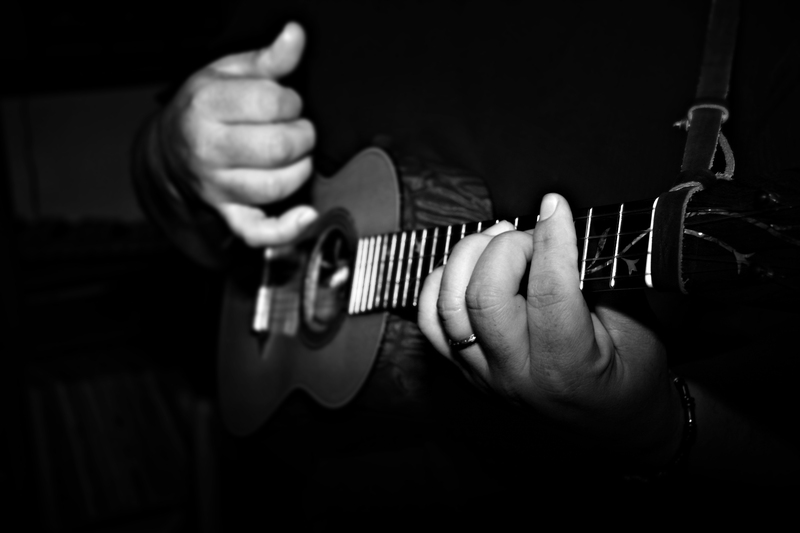 If you are interested in playing the ukulele or you already play and you want to join a group. Just go out to Google and do a search for groups in your area. I am sure you will find one and if you don’t then make one! Time’s fun when you’re having flies! Wow, I am amazed at how quickly time seems to pass. Life has been great for me and my family. We have a beautiful little addition this year and it makes Christmas feel so special. I love the fall, Thanks Giving and Christmas it seems to bring out the best in everybody. In celebration of Christmas and the Holiday season, I decided to put up two new Christmas Ukulele Transcriptions. White Christmas and Christmas Island, are two great songs for the season. White Christmas is such a classic Christmas song and Christmas Island is just perfect on the ukulele. I hope that you enjoy them as much as I enjoyed putting them together. Peace to all and to all a good night! 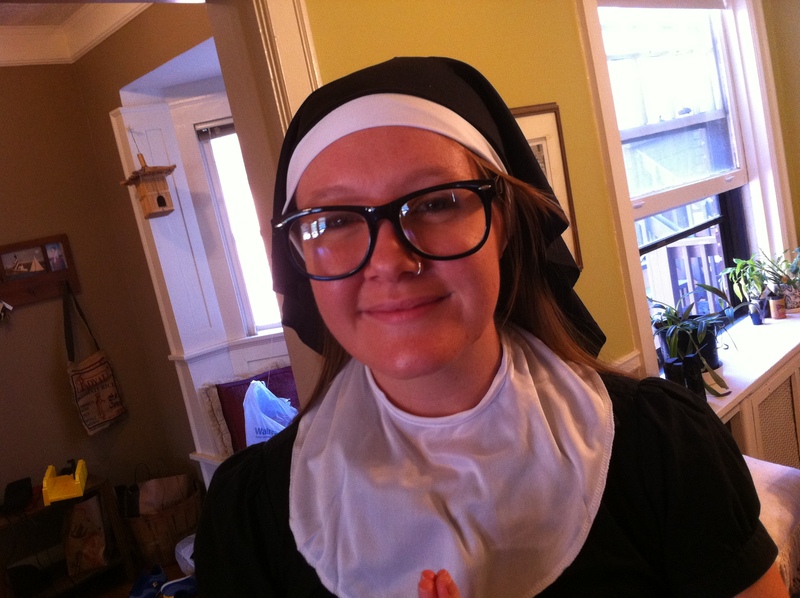 Sign up now for an Advanced Ukulele Class 3/2 – Or Sister Heather will bust your knuckles!! Sister Heather says – There is still time to sign up! Give me a quick call if you want to join us on 3/2 in Bellevue Ne for an advanced ukulele class. See post below for more details. I have also been asked to put on an advanced clinic. This will be held Sunday 3/2 from 10am to 2pm at our house in Bellevue Nebraska. There will be 3 hours of instruction and 1 hour for a lunch break that will be provided. The cost is 75.00 which includes lunch. There are only 10 slots available, this will ensure that more individual instruction / help can be given. The main focus wi…ll be on tips and tricks to improve on the daily uke book songs. So, come with a song or two that you want to work on and we will work through them together. I will also explain why the tip or trick works and the music theory behind it. We will also work through some fundamental playing exercises to improve on: barre chords, positional playing and general fret board freedom. Some topics that I want to be sure to cover are: the circle of fifths and how to play them EASILY on the ukulele – both major and minor the two five one chord progression – its relationship to the Hawaiian turnaround triplet insertion – when to use it when not to use it chord substitution and decoration – when and where to use it Lead playing – I want to touch on this if we have time. How do you know if your qualified for this clinic? Can you play a barre chord? Can you pretty much keep up with the group? Do you feel a little bored with your current playing? Are you ready to start playing beyond fret 4, do you already play beyond fret 4? If you have said “yes” to two of these questions then I think you are ready for this clinic. If you have questions please call me or email me. If you want to register, email me right away as we only have 10 slots available. 4 Strings Of Swing FaceBook Page!! 4 Strings Of Swing Video!! What was the last thing I said?